I have to admit I also sometimes build myself stages or even whole rallies (including virtual WRC event) on the maps of my country (and since nearly every field road here has its street view on several map servers it's pretty easy to find great roads which will sadly never happen to become rally stages). Yeah, obviously I've planned more routes for Rally Finland, where I know more about the roads, more roads used in local rallies and their state today. It's a fun puzzle to try to make a route that fits the current limitations (like 80 km of kilometres per leg). I can only imagine how complicated it is when you have also the marketing side and road permissions in the equation as well. Good to know that there are other crazy rally nerds around which are planning virtual rally events or virtual WRC events. I thought to myself you are a bit crazy - what are you doing – but good to know I am not alone. For me it’s ok – because other people are playing virtual football games for hours also. I am from Austria - so I have done a remake WRC version of the infamous Austrian Alpine Rally (Alpenfahrt). This rally is one year older than Monte Carlo. The virtual rally has nothing really to do with the old Alpenfahrt despite a few stages from the 1973 version. It’s just the iconic name. It’s a mixed event with one day on gravel (Friday) and two days on asphalt (Saturday, Sunday). At the moment the rally complies the FIA rules, but the FIA wants to ban mixed events in the near future. I am a bit worried because maybe some special stages are far too fast for the modern WRC cars and for our Czech friends I guess I have to rethink about the rally name. In total about 344km with 22 special stages. I have to look a bit closer regarding the 25% special stage rule. Resumed for the virtual rally – the roads are all there, the infrastructure is there but to get it all together for a real event to get permission and stuff like that and organize it. It’s impossible. The detailed intenary with stage times and so on is under way. Last edited by bearclaw; 1st February 2019 at 17:59. I love my car! PETesting has gone well mainly because I just love the car. Did I mention how much I love the car? 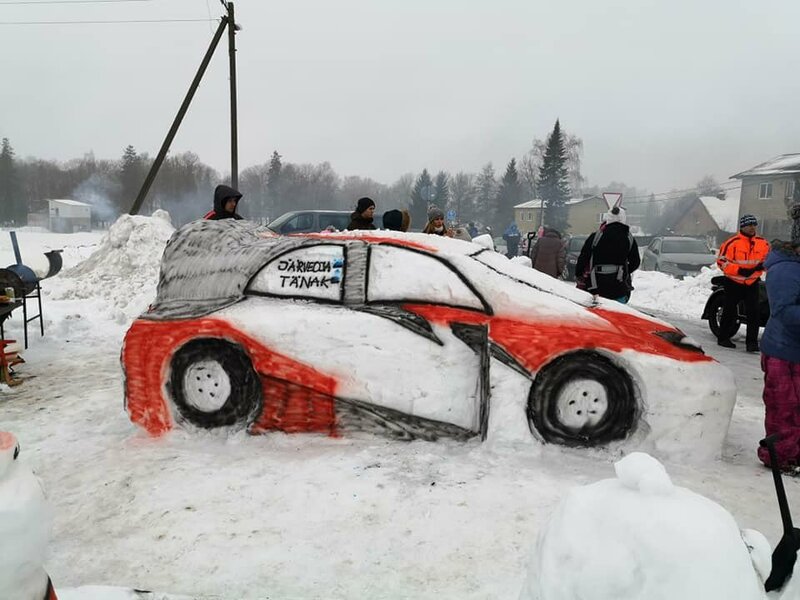 Very much looking forward to Rally Sweden because I love my awesome car. HELLO OLD TEAM ARE YOU HEARING THIS? Saturday: Three stages in Kielder, for example Pundershaw, Wauchope and Redesdale. Midday service in Newcastle and repeat of the stages. I think Bewshaugh, Pundershaw and Shepherdshield, plus maybe Falstone, are the best of the core Kielder stages. I'd put Wauchope into your V2 Friday instead. Sunday: Two ~10 km stages in Yorkshire – versions of Gale Rigg and Dalby with latter as power stage. While Dalby is the most famous stage name in Yorkshire rallying, I think Gale Rigg, Cropton and Langdale are actually better for an event like Rally GB. Dalby has a lot of fast, narrow, long straights/corners broken up by 90° junctions. The other three are generally a bit wider and a bit more varied in their nature. If we could find more stages in the area between Carlisle and Grizedale we could base the whole Friday in that area and have instead Sunday in Scotland to make the timetable looser and have even less liaisons. The only other forest with decent millage around there that I can think of is Greystoke, but M-Sport use it (quite extensively I believe) for testing, so I doubt they'd allow it to be included in a Rally GB route as it'd limit their use of it. Thanks for the insight. I don't know much about the individual stages in Kielder but I have tried to look at some newer onboards and the roads seem awesome, partly like Finland with bends over crests. The road network is so wide that it could allow creating many stages with decent access for spectators. It often felt that in the RAC days they tried to just pack as much kilometres into the stage as possible and some of the stages were even completely closed for public. And the Dalby stage is another great example of making a very dense long stage in a small area. Nice exercise - be good to have a GB rally outside of Wales. In the Carlisle area there is also Hobcarton and Wythop. Both are short <8km? Hobcarton is south side of the Whinlatter pass and could be linked directly to Comb with a small section of closed public highway. Wythop is west shore of lake bassenthwaite. In south Scotland there is plenty of mileage in Forest of Ae north of Dumfries. Can be increased by short public road to include Windyhill. a little bit background to this. 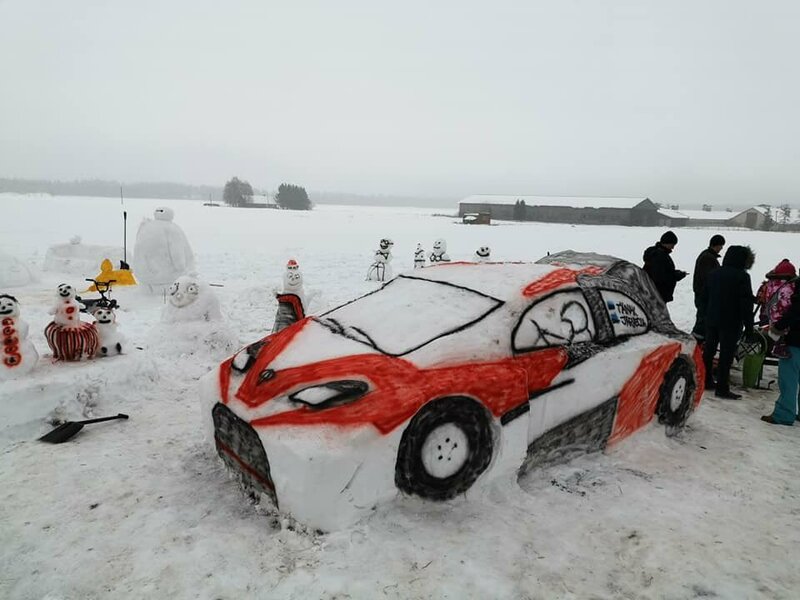 Theres a snowman parade today in Estonia where lots of people take part and are building snowmen. They are trying to break the world record which is held by Michigan at the moment, 2228 snowmen, last year Estonians did 1406. We will find out tonight if we break the record or not. For the Rally Austria - reckon the Red Bull people could make it happen. Considering how many 4wd vehicles Maga Steyr build. wrc Austria is quite a good fit. Last edited by Zeakiwi; 3rd February 2019 at 18:24.